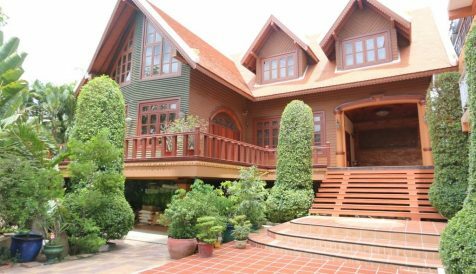 Bright and light stunning Villa with Swimming Pool now available for rent in Tonle Bassac. There is 2 en-suit bedroom plus another open space room with a bathroom in the attic. There are also 2 other bedrooms in a smaller building outside of the house. Both en-suite. On the Ground Floor this villa has got very large open plan space with access to front, back and swimming pool. There is living and dining space and access to closed kitchen. Kitchen is fully equipped with oven and microwave and 2 refrigerators. 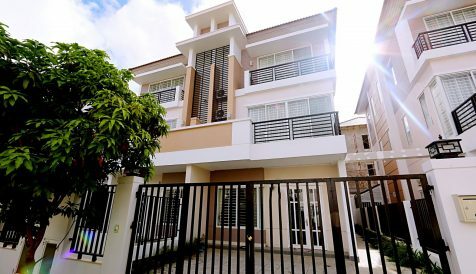 Another living space is on the 1st Floor with access to the balcony and two bedrooms. 2nd floor has got open space attic with bathroom and access to the large storage room. This property has loads of space for parking, children and pets to play around, small garden. Easy access to the shopping mall and restaurants. Rent Includes: Furniture. House and swimming pool will be cleaned before tenants move in. Rent Excludes: Management Fee, Utilities, Pool Maintenance. 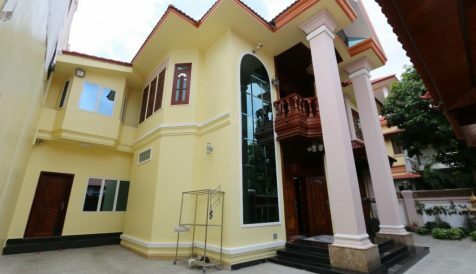 Bright and light stunning Villa with Swimming Pool now available for rent in Tonle Bassac. There is 2 en-suit bedroom plus another open space room with a bathroom in the attic. There are also 2 other bedrooms in a smaller building outside of the house. Both en-suite. 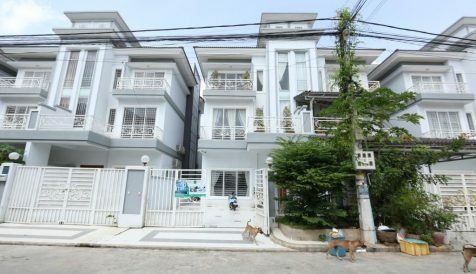 On the Ground Floor this villa has got very large open plan space with access to front, back and swimming pool.